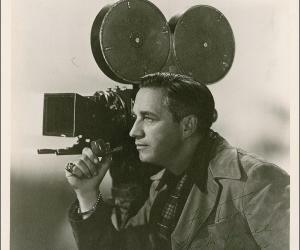 Mervyn LeRoy was an eminent American film director and producer. Check out this biography to know about his childhood, life, achievements, works & timeline. 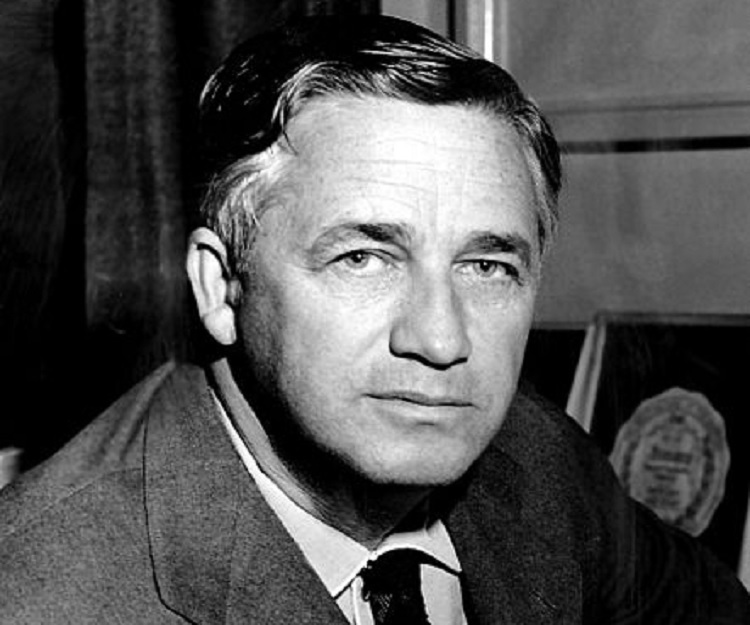 Mervyn LeRoy was an eminent American film director and producer. He made films of various genres like drama, romance, comedy, and musical. He began his career by selling newspapers and worked his way into show business. When he went to Hollywood, he gradually found work as an actor playing juvenile roles in silent films. Ambitious and curious by nature, he quickly learnt the basics of direction. He was signed by Warner Brothers in 1927 and created many classic movies of different genres for the studio, including the famous gangster films ‘Little Caesar’ and ‘I Am a Fugitive from a Chain Gang’. In 1938, he joined Metro-Goldwyn-Mayer (MGM) and produced several films, including the classic, ‘The Wizard of Oz’. He also directed romances like ‘Waterloo Bridge’ and ‘Random Harvest’. 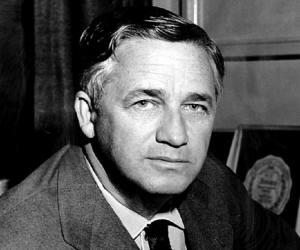 After a successful stint at MGM, he returned to Warner Bros during the mid 1950s. Although eight of his films received nomination in the Academy Awards Best Picture category, he received only a single nomination for Best Director. In 1945, he received a special Oscar for a short documentary on religious intolerance titled ‘The House I Live In’. 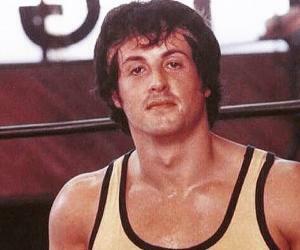 In 1975, he won the Irving G. Thalberg Memorial Academy Award. Mervyn LeRoy was born on October 15, 1900 at San Francisco, California to Jewish parents Edna (née Armer) and Harry LeRoy. His paternal grandfather was a successful businessman in San Francisco and owned a departmental store. However, the great earthquake of 1906 completely destroyed the shop and the family was financially ruined. To earn money, young LeRoy sold newspapers and eventually one of his clients got him a role onstage. He performed in Vaudeville as ‘the Singing Newsboy’ in the act ‘LeRoy and Cooper -Two Kids and a Piano’. Later, he moved on to Hollywood. In 1919, Mervyn LeRoy began his Hollywood career by working in the costumes department of Famous Players–Lasky, and from there he progressively worked his way up to lab technician and later as assistant cameraman. Alongside, he also played juvenile roles in silent films from 1922 to 1924, such as in ‘The Ten Commandments’ (1923). Eventually, he became a gag writer for films like ‘Sally’ (1925), ‘Ella Cinders’ (1926), and ‘Twinkletoes’ (1926). He also picked up some basic direction skills during this period from his inspiration, Director Cecil B. DeMille. His first direction was ‘No Place to Go’ (1927) for Henry Hobart Productions. In 1927, Warner Brothers signed him and he directed some low-budget films like ‘Harold Teen’ (1928) and Oh Kay! (1928). ‘Naughty Baby’ (1928) and ‘Hot Stuff’ (1929) – both starring Alice White, were some of his initial sound pictures. In 1930, he directed ‘Numbered Men’, a prison drama and ‘Top Speed’, a musical comedy. In 1931, he directed the immensely successful classic gangster film, ‘Little Caesar’, followed by ‘Five Star Final’ - a critique of tabloid journalism, both starring Edward G. Robinson. These apart, he also directed ‘Gentleman’s Fate’, ‘Too Young to Marry’, ‘Broadminded’, ‘Local Boy Makes Good’, and ‘Tonight or Never’ in 1931 — a total of seven films in one year. In 1932, he directed ‘High Pressure’, ‘Two Seconds’, ‘Big City Blues’ and the melodrama ‘Three on a Match’. His most outstanding film that year was ‘I Am a Fugitive from a Chain Gang’; the film was an intense narration of Robert E. Burns’ ghastly experiences at a prison camp and it was nominated for the Academy Award. In 1933, he directed ‘Hard to Handle’, ‘Elmer, the Great’, ‘Tugboat Annie’, the musical classic ‘Gold Diggers’, and a soap opera ‘The World Changes’. In 1934, the Production Code limited what could be depicted on-screen. 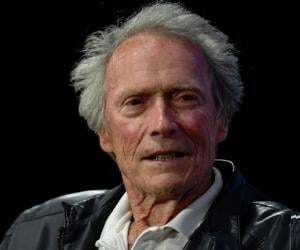 In this scenario, he made films like ‘Hi, Nellie!’, ‘Heat Lightning’ and ‘Sweet Adeline’. In 1935, he made a comedy ‘Page Miss Glory’ and a soap opera ‘I Found Stella Parish’. In 1936, he directed ‘Anthony Adverse’, an immensely successful costume drama based on Hervey Allen’s best seller. In 1937, he directed ‘They Won’t Forget’, his most serious drama in years. It was based on a novel by Ward Greene. In 1938, he directed ‘Fools for Scandal’. These last two films (also produced by him) gradually marked the end of his first tenure with Warner Brothers. In 1938, he joined Metro-Goldwyn-Mayer (MGM) as Head of Production. He produced the films of other directors such as Sinclair’s ‘Dramatic School’ (1938), Dyke’s ‘Stand Up and Fight’ (1939), and Victor Fleming’s ‘The Wizard of Oz’ (1939). In 1940, he put on the Director’s cap again with the film ‘Waterloo Bridge’, starring Vivien Leigh and Robert Taylor. This was followed by ‘Escape’ (1940), ‘Blossoms in the Dust’ (1941), ‘Unholy Partners’ (1941) and ‘Johnny Eager’ (1941). 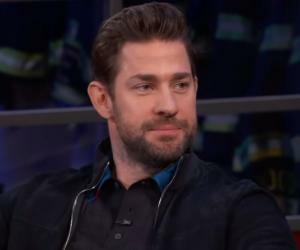 He discovered talents like Clark Gable, Loretta Young, Robert Mitchum and Lana Turner. His 1942 film, ‘Random Harvest’ was a big box-office success. The film earned him his only Academy Award nomination for best direction. The following year ‘Madame Curie’ (1943) was nominated for best picture. His next film was the World War II epic ‘Thirty Seconds over Tokyo’ (1944), followed by a documentary on religious tolerance called ‘The House I Live In’ (1945). He shared a special Oscar for the film; his only Oscar ever. In the latter half of the 1940s he made films like ‘Without Reservations’ (1946), ‘Homecoming’ (1948), ‘Little Women’ (1949), ‘Any Number Can Play’ (1949), and ‘East Side, West Side’ (1949) all of which failed to be successful. In 1951, he produced ‘Quo Vadis’ which was nominated for best picture at the Academy Awards combined with seven other Oscar nominations. It was MGM’s second highest grossing picture ever, after ‘Gone with the Wind’. Films like ‘Lovely to Look At’ (1952), ‘Million Dollar Mermaid’ (1952), ‘Latin Lovers’ (1953), and Rose Marie (1954) followed. He then returned to Warner Brothers, where he was allowed to both produce and direct. He made ‘Strange Lady in Town’ (1955) and adapted Broadway hits like ‘Mister Roberts’ (1955), ‘The Bad Seed’ (1956), and ‘No Time for Sergeants’ (1958). He also made a drama ‘Home Before Dark’ (1958) and ‘The FBI Story’ (1959). ‘Wake Me When It’s Over’ (1960), ‘The Devil at 4 o’clock’ (1961), ‘A Majority of One’ (1962)’ ‘Gypsy’ (1962), ‘Mary, Mary’ (1963) were some of his last films. His last credit was in ‘Moment to Moment’ (1965), a romantic thriller. One of LeRoy’s earliest notable films was ‘Little Caesar’ (1931), starring Edward G. Robinson. The film is a classic gangster movie. In the 1930s, most of his films highlighted social issues, the best example being ‘I Am a Fugitive from a Chain Gang’ (1932). The film was an intense narration of Robert E. Burns’ ghastly experiences in a Georgia prison camp. His 1936 film ‘Anthony Adverse’ was an immensely successful 18th century costume drama based on a best seller by Hervey Allen; the worldwide travelling protagonist of the film was played by Fredric March. ‘Random Harvest’ (1942) which was based on a touching novel by James Hilton, portrayed a soldier struggling with amnesia after World War I. He falls in love and marries a dancer and goes on to have a child. Later, however, an impact re-establishes his lost memory and he forgets his marriage. The film helped LeRoy earn his only Oscar nomination for best direction. His World War II classic, ‘Thirty Seconds over Tokyo’ (1944), starring Van Johnson among others, was based on participant Ted Lawson’s account of the first U.S. bombing on Japan in 1942. He also made a short notable documentary about religious tolerance called ‘The House I Live In’ (1945). He received an honorary Oscar in 1946 for the movie ‘The House I Live In’. In 1976, he received the Irving G. Thalberg Memorial Award from the Academy of Motion Picture Arts and Sciences. He holds the record for having the maximum number of films (eight), directed or co-directed that were nominated for Best Picture at the Oscars. Mervyn LeRoy was married thrice. His first marriage was with actress, Elizabeth Edna Murphy, in 1927 and they divorced 1933. He married Doris Warner in 1934 and after having two children, divorced her in 1942. In 1946, he married Katherine Spiegel and this marriage lasted till his death. He was passionate about horse racing and owned several pure-bred race horses. He served as the President of the Hollywood Park racetrack until 1985. He died on September 13, 1987 in Beverly Hills, Los Angeles after a long battle with Alzheimer. He was buried at Forest Lawn Memorial Park, Los Angeles. He directed 13 different actors like Gale Sondergaard, Jack Lemmon and Van Heflin in Oscar-nominated performances. He produced (and partially directed, without acknowledgment) MGM studio's classic ‘The Wizard of Oz’ (1939). His autobiography, ‘Mervyn LeRoy: Take One’ was published in 1974.